I love Halloween. It’s the most playful holiday and allows adults to engage in play with little risk of ridicule or reprimand (i.e. childish, waste of time, frivolous, unprofessional, immature) often experienced outside socially-sanctioned adult play spaces. In short, Halloween creates a magic circle for adults as well as children. The traditions associated with Halloween are also very playful – carving pumpkins, watching scary movies, hosting a costume party. In this tradition, I’ve been helping plan the Halloween party for my Masters cohort which, unsurprisingly for a game design program, has involved looking into many scary / horror-themed games. Werewolf, Zombies, and Betrayal at House on the Hill are a few horror-themed analog games, and there is no shortage of video games in this category either. What caught my attention as I researched games to include at the party was the frequency with which horror games used psychological illness as a narrative or plot device. Enemy characters are frequently identified as “crazy” or “criminally insane” and this serves as motivation for their behavior and as the motivation for the player character to defeat them. 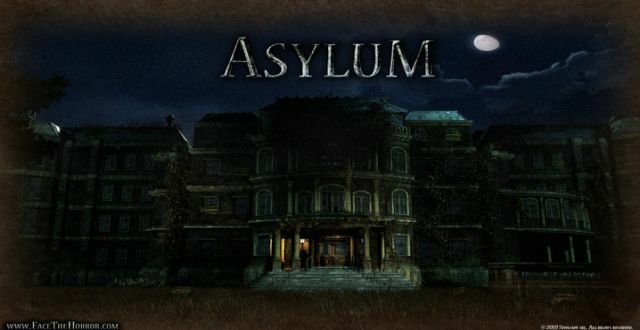 Horror games also love to use psychiatric hospitals or “asylums” as settings when elicitign feelings of terror. This is hardly game-specific, think Hannibal Lecter, Norman Bates, etc., but it did spur me to actually write my Games and Society midterm on the portrayal of mental illness in video games. While conducting my research, I found the Asylum Game Jam. For those who don’t know, a game jam is an event for game developers (or anyone wanting to help develop a game) to create a game in a very short amount of time; usually 24 – 72 hours. The Asylum Game Jam was created to raise awareness about the use of mental illness tropes in horror games and encourage game developers to create great horror games that do no stigmatize mental illness. The Asylum Jam is a 48 hour game jam now in the third year of running, taking place from November 6th to November 9th 2015. This jam is to show that you can still create a great horror experience without using inaccurate stereotypes of those who suffer from mental illness, or the institutions that support them in diagnosis and recovery. I participated in the 2015 Global Game Jam last January and found it to be an intense but thoroughly rewarding experience. Some amazing ideas and games come out of these kinds of events. I’m super excited to participate in this year’s Asylum Jam and hope others will consider putting together a team of their own. You should definitely check out last year’s Asylum games for inspiration or even just to play at your mental illness stigma-free Halloween party!